As a long-time astrologer with extensive experience of working with crystals, I have found in walking the path of transformation that astrological meanings and rulerships change, just as life itself. I aspire to respond to situations and challenges from a wider and more inclusive perspective, with love and compassion rather than hurt and judgment. Crystals and stones have assisted me with this through meditation, contemplation, wearing and/or carrying them. So I am offering these ideas and perspectives, with hopes that you may find them useful in your own journey toward wholeness. In Aries, after confronting issues of arrogance, willfulness, anger, impulsiveness and competition, a new clarity of vision emerges. The egocentric expression of Mars gives way to Mercury-infused communications, ideas, and mental processes, and the voice of the collective begins to make itself heard. The mind can pierce the veils of illusion and deception, assisted by the use of clear quartz. WIth Taurus, the stubborn focus on materiality — possessions, money, security — shifts to ever-deepening connections with nature and the Earth. Rulership changes from the personal desires of Venus to the forging of new consciousness in the fires of Vulcan. Turquoise and obsidian are excellent in this process. The Geminian and attendant Mercurial restlessness, duality, preoccupation with mental activities and nervous energy is resolved in the heart, where the energies of Venus can allow paradox to exist and and love to express itself. Rose quartz and green tourmaline are very useful. The over-protective, moody, lunar-influenced qualities of Cancer include a sideways rather than direct movement in the face of obstacles, like a crab. This can change with the realization that we are here to birth new consciousness and expanded awareness, the realm of Neptune. Aquamarine and tanzanite can assist with this. The rampant self-centeredness of Leo and its love of power — often masking uncertainty and self-doubt — are transformed into sharing the joy of life, creativity, and warmth of the Sun. 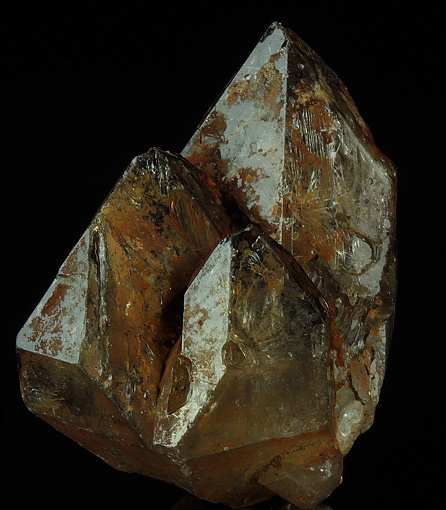 Topaz and rultilated quartz are excellent in this process of unfoldment. Mercurial energies of over-analysis and criticism in Virgo, along with fanatical attachment to diet and health and attempts to fix everything except oneself, can be replaced by the nurturing and deep feelings symbolized by the Moon, enhanced with the use of emerald and selenite. In Libra, despite connections with fine arts and traditional relationships symbolized by Venus, there can be wishy-washiness, avoidance of conflict (at all costs) and attempts to please. Along the transpersonal path, however, it is the energies of Uranus that begin to manifest — new perspectives and innovative, non-traditional ways of relating both to others and society. Citrine and kunzite can be very useful. Next we are in Scorpio time. The nicey-niceness of Libra is but a dim memory. What we have is ooze, slime, cesspools. The terror of things hiding under rocks. Scorpions, tarantulas, poisonous snakes. The weight of things done badly. Hurt, pain, anguish, despair. Deceit, deception, betrayal, spite, jealousy, murderous rage. All needing to be confronted and transformed. There are no spiritual bypasses here. Unless willing to descend into the darkness and fully embrace it, to be stripped down to bare bones, one can never hope to find the light, emerging as an eagle seeking the sun. Scorpio, ruled in traditional astrology by Pluto and by Mars transpersonally, requires intense confrontations with self. There needs to be a willingness to wrestle with inner demons and outworn forms of being, emerging reborn into the light of a new day. Ruby and red sapphire can be very helpful. The Sagittarian never-ending search for adventure and desire to overdo everything — the excesses of Jupiter — can easily lead to fanaticism and scapegoating. The transformational process leads to more-inclusive understanding, tolerance, philosophy, and belief systems. These new insights need to be brought into earthly activities. Smoky quartz and black tourmaline can be helpful. Saturn is the dual ruler of Capricorn, with its focus on hard work, achievement and accomplishment, and need for ongoing reassurances, control and security. These qualities, when transformed, can serve in the quest for spiritual awakening and enlightenment, offering oneself in service to humanity in myriad forms. Garnet and onyx can aid in these pursuits. Aquarius, traditionally ruled by Uranus, can easily get caught in group soup and mob rule as opposed to consensus and leadership. The cool detachment can give way to a deeper love of humanity and more-inclusive belief system, symbolized by transformed Jupiterian qualities. Blue sapphire and kyanite are very useful in this process. Finally Pisces, where everything needs to be absorbed and integrated. Its melancholia, impressionability, ultra-sensitivity, desire to escape earthly existence and being easily overwhelmed by emotions and feelings are related to Neptune. Now the energies of Pluto, its sometimes ruthlessness eased with compassion, inaugurate seeing clearly and communicating the need for transformation, creating a seed state of being through which to bring forth the new cycle. Amethyst and sugilite are excellent for these purposes. As we tread the transpersonal path, our approach to experiences and situations shifts and changes. The initial challenges inherent in each zodiacal sign are confronted and transformed, leading to expanded consciousness and compassionate responses. The crystals and stones associated with the process can be very useful.